Singapore’s bike sharing service oBike, has just launched a new delivery service, called oBike Flash. First spotted by Tech In Asia, the new service can be found in oBike’s mobile app. There’s also a call for users to sign up as an oBike Flashman, a term coined for the riders who will be delivering the orders through the new delivery service. 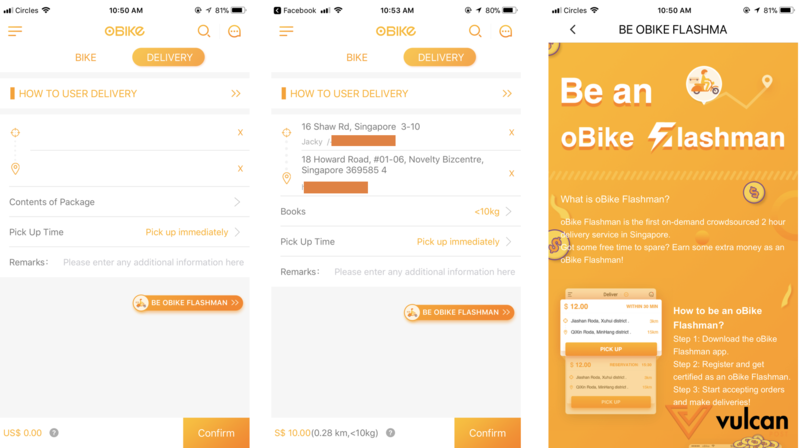 oBike claims that oBike Flash is the first on-demand, crowdsourced, 2-hour delivery service in Singapore. The bigger picture is probably this: the new service comes shortly after oBike announced that it plans to offer users oCoins through an initial coin offering (ICO), its own digital currency tied to Tron, or TRX. With the new oCoin, which is slated to be available for trading in this quarter, riders will be able to earn the cryptocurrency oCoins by riding bikes. What this essentially means is that, on top of being paid to deliver items for customers, you may also be rewarded oCoins, which could appreciate in value in the future should the digital currency Tron or oCoin see an increase in its utility value. oCoins can also be used to purchase any online content or be used on any application that leverages on Tron, which includes a new live-streaming app Uplive and several other online platforms. With the recent hype of cryptocurrencies, this may spark the interest of Singaporeans to choose oBike instead of its competitors. 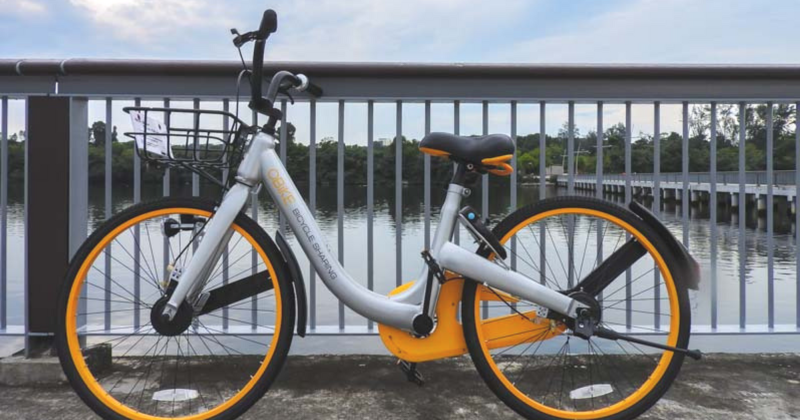 Founded in Singapore in January 2017, oBike claims to be Southeast Asia’s first smart station-less bike-sharing company. It currently operates in over 60 cities across 17 countries, including countries like Taiwan, Korea, Malaysia, Australia, Thailand and more. In Singapore, there are reportedly over 14,000 oBikes docked around various locations, with more than a million active users in a country of 5.5 million people. 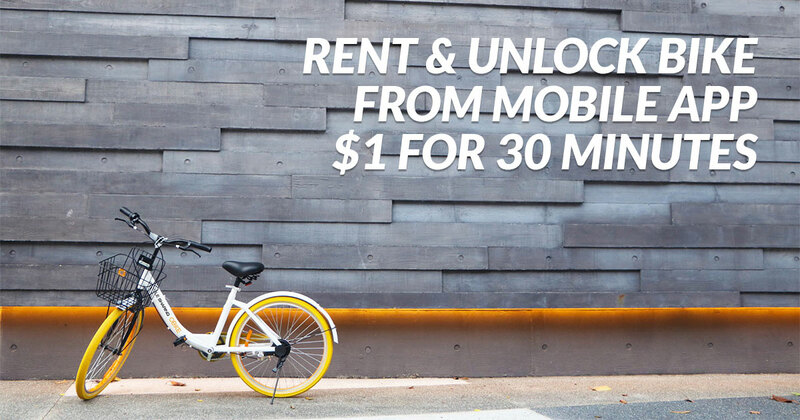 You can rent an oBike and ride it for just S$1 for half and hour. oBike is competing with other similar bike sharing companies in Singapore, notably, Mobike and ofo, both of which are from China. With oBike’s new delivery service oBike Flash, fuelled by its new cryptocurrency, it will definitely hasten the shift in the Singapore workforce, and we can expect to see the prevalence of the freelance economy. The government has also announced plans to improve the various cycling infrastructure in Singapore, and recently reduced the numbers of new private cars. This is in line with the government’s role to steer Singapore towards becoming a car-lite society.